Is Wall TV the future? Within the next five years advances in display technology will make science fiction reality, with screens that are unobtrusive, frameless, ambient and Ultra HD. So claims Cisco, which will be backing up its statement at IBC with an evolved prototype of its Fresco video wall. Demonstrated in private at IBC2012, the second phase prototype features two, as opposed to one large display in a single room and is also on the show floor this year available for all to see. “This is a future of video that breaks out of the box in the corner of the room,” said Christelle Gental, marketing manager, SP Video. “Fresco demonstrates that television’s future is both collective and personal, and shows a new relationship between large screen and companion devices. “No one has ever shown such adaptability before,” she claimed. “Our display engine, driven by user input and content metadata, automatically manages the layout of content to meet the needs of the audience, and provides web-based UIs on a range of companion devices, giving a unique combination of the collective and personal. The prototype uses professional monitors with 5mm bezels, but OLED offers the prospect of a bezel width of near zero. The viewer is able to add or remove components or re-arrange the layouts of the dual large displays via a companion device. This opens up a number of intriguing questions about the TV of the future, how it is produced, delivered, presented and interacted with. “Perhaps most challengingly, we need content producers and designers to understand that their content can and will be presented in many different ways, and a complete control over this presentation is potentially very counter-productive to the viewer’s engagement,” wrote Parnall and Walker. 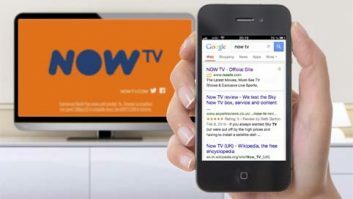 Another opportunity lies in supporting connected applications and services operating in a more streamlined, integrated manner, reflecting and effecting changes in viewer engagement in TV content. In Fresco, immersion is controlled in two ways: via metadata that indicates the broadcasters expected level of immersion; and also via a control in the companion device that allows the user to modify the immersion as they wish. The new architecture is designed to support multiple large-display clients, and Cisco has been exploring how these can be combined for the presentation of a single entertainment experience. For example, it said, in addition to displaying further content elements, to supporting a ‘watch party’ where the viewer’s couch can be ‘virtually’ extended onto the second display to give an ambient shared viewing experience with remote friends or family. “We have also explored how the two displays can co-operate to support multiple simultaneous entertainment experiences such as sports matches or soap operas.